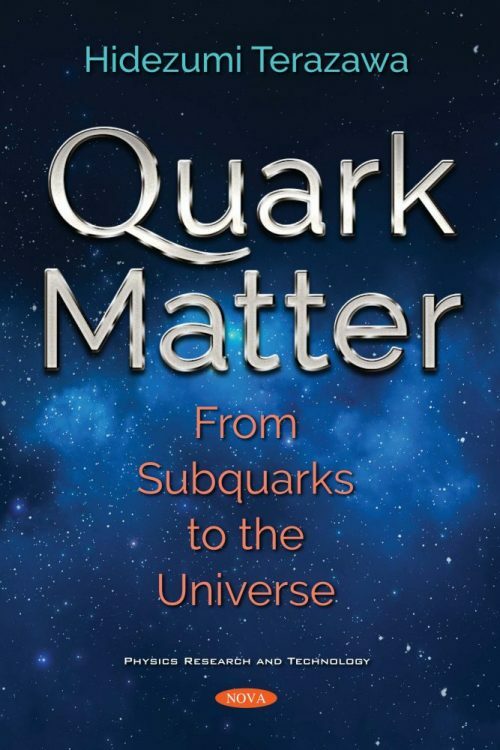 The meaning of “quark matter” is twofold: It refers to 1) compound states of “subquarks” (the most fundamental constituents of matter), which quarks consist of, as “nuclear matter” to those of “nucleons” (the constituents of the nucleus), and 2) compound states of quarks that consist of roughly equal numbers of up, down, and strange quarks, and which may be absolutely stable. Recently, both types of quark matter have become very intriguing subjects in physics and astronomy since the recently discovered Higgs boson may be taken as a composite object (possibly, a bound state of subquark-antisubquark pairs). Additionally, many recently observed compact stars have been considered as “strange stars” (stars consisting of quark matter). In this book, these subjects in physics and astronomy are discussed without requiring readers to comprehend mathematical details. This book consists of three chapters: Chapter One: “Quark Matter and Strange Stars”, Chapter Two: “Composites of Subquarks as Quark Matter”, and Chapter Three: “Dark Energy, Dark Matter, and Strange Stars”. Their contents include the following: In Chapter One, quark matter and strange stars are discussed in detail. In Chapter Two, the unified subquark model of all fundamental particles (quarks, leptons, and gauge and Higgs bosons) and forces (strong, electromagnetic, weak, and gravitational forces) is discussed in detail. In Chapter Three, pregeometry, in which the general theory of relativity for gravity can be derived as an approximate theory at long distances, is briefly reviewed. Furthermore, special and general theories of “inconstancy” in pregeometry – in which fundamental physical constants may vary – are introduced. Finally, possible solutions to the most puzzling problem in current cosmology of dark energy and dark matter in the universe are presented. Between Chapters One and Two, episodes on Dr. Abdus Salam are added, as Dr. Salam was one of the founders of subquark models. Also, between Chapters Two and Three, episodes on Dr. Andrei Sakharov are added, as Dr. Sakharov was the founder of pregeometry.